[twitter]Mayor Nenshi is asking that people in the city do 3 Things for Calgary as a way to make life here better for all of us. 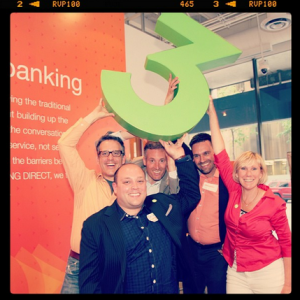 Last night at the ING Direct event, Orange For YYC, I sat on a pane with Peter Aceto and Lori Stewart and was asked to talk about my 3 Things for Calgary. 1. Cheer For The Flames. Calgary is lucky to have an active political base on Twitter and Facebook. With a few clicks I can reach my alderman, my MLA, .. .. just not my MP. I will continue to use these tools to engage the elected officials for two reasons: 1) to share my views and be involved in the process 2) to encourage them to do the same. 3. Become A YYC Ambassador. Continue to use my voice in social media to raise Calgary’s (and Alberta’s) voice and place on the national and international stage. This truly is a place where community is celebrated, and has many ideas that could be shared around the world.